As part of Harvard Alumni Association's Global Month of Service, the Harvard Club of Nevada would like to invite local alumni, friends and families to our Day of Service Event. Organized by Diane Epstein, the service event will be held on Saturday, April 26th from 9am to 1:00pm at St. Jude’s Ranch for Children. Volunteers are scheduled for outdoor property clean up (they have 40 acres) to include pruning, sweeping, raking etc. Additional we are asked to help clean and organize their gift shop. Families are especially welcome to participate. 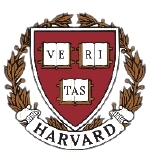 Following the clean up activities, the Harvard Club will host a barbecue lunch at the conclusion of our service project (1:00-3:00 pm) for the volunteers and St. Jude's residents. While a few pot luck dishes will be especially welcomed, the Club will provide refreshments and bbq treats. Who wants to be chef for the day? We will need volunteers for all aspects of this event, so please do not hesitate to contact us if you wish to assist before, during or after the event. Please join us for this wonderful opportunity to make a difference for a worthy charity. We need 30-40 volunteers to make this event successful.